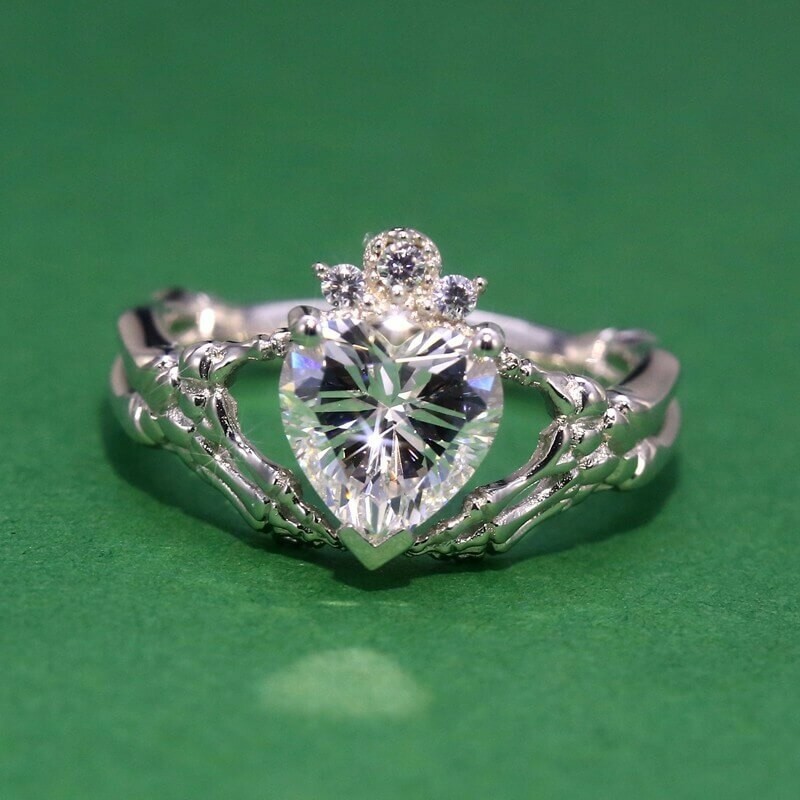 The Claddagh ring meaning is all about love, loyalty, and friendship. 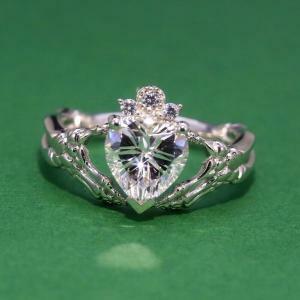 The two hands represent friendship, a heart symbolizes love and the crown on top is for loyalty. 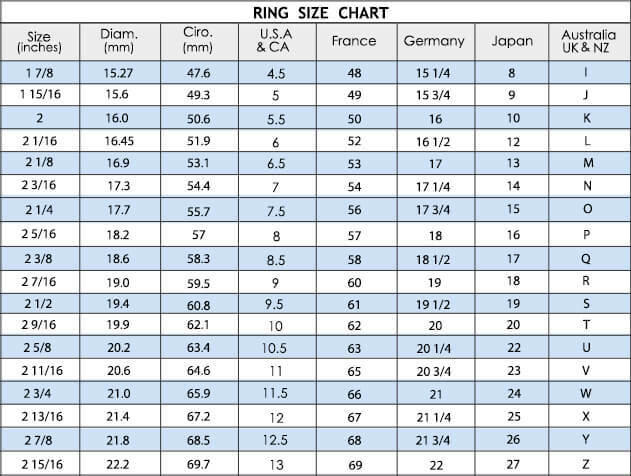 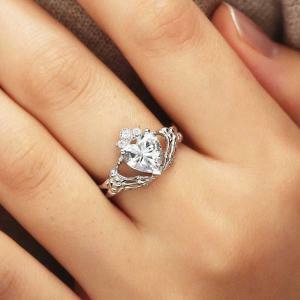 The ring can be worn on different fingers or hands, depending on status. 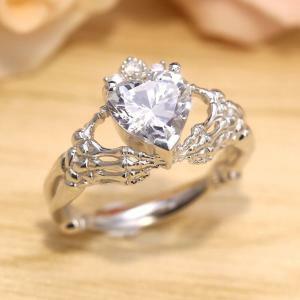 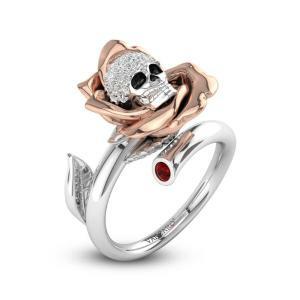 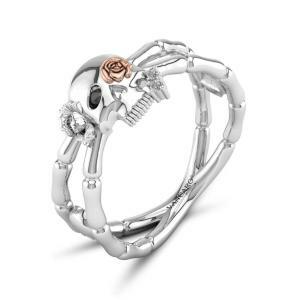 Uncover a truly mystical treasure with our Claddagh Inspired Hands Holding Heart Skeletons Ring. 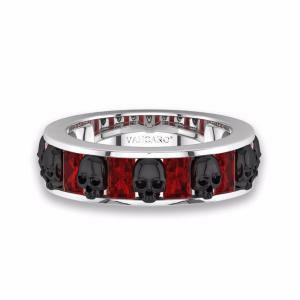 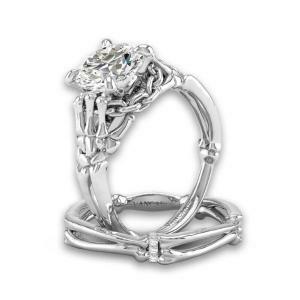 Like a legend which has transcended all space and time, this ring symbolizes eternal life and unique beauty. 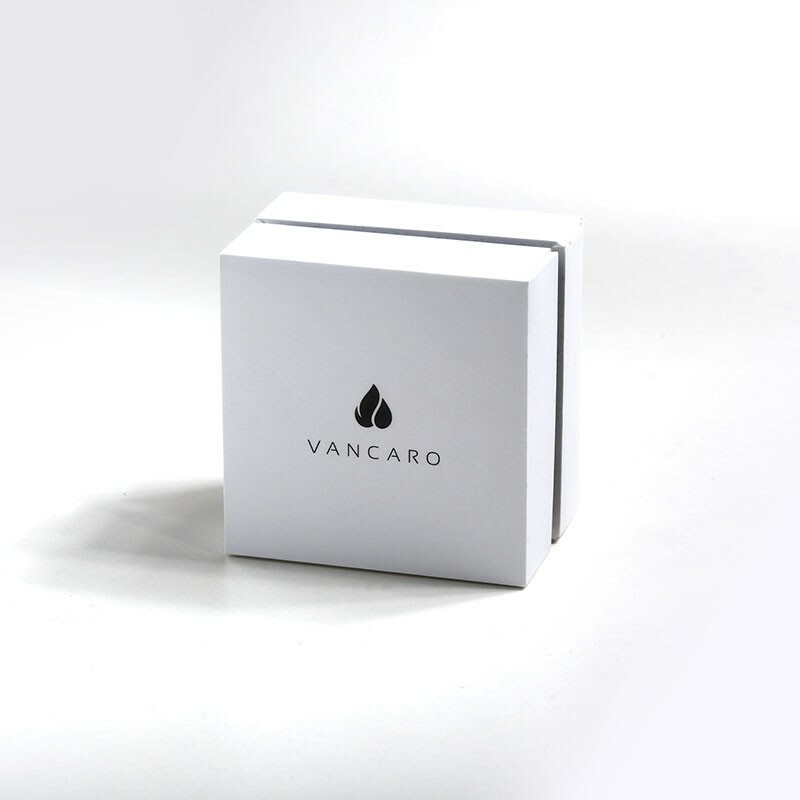 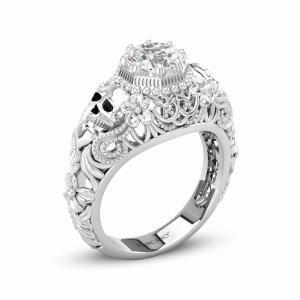 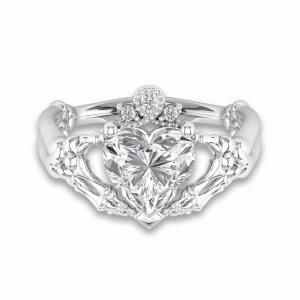 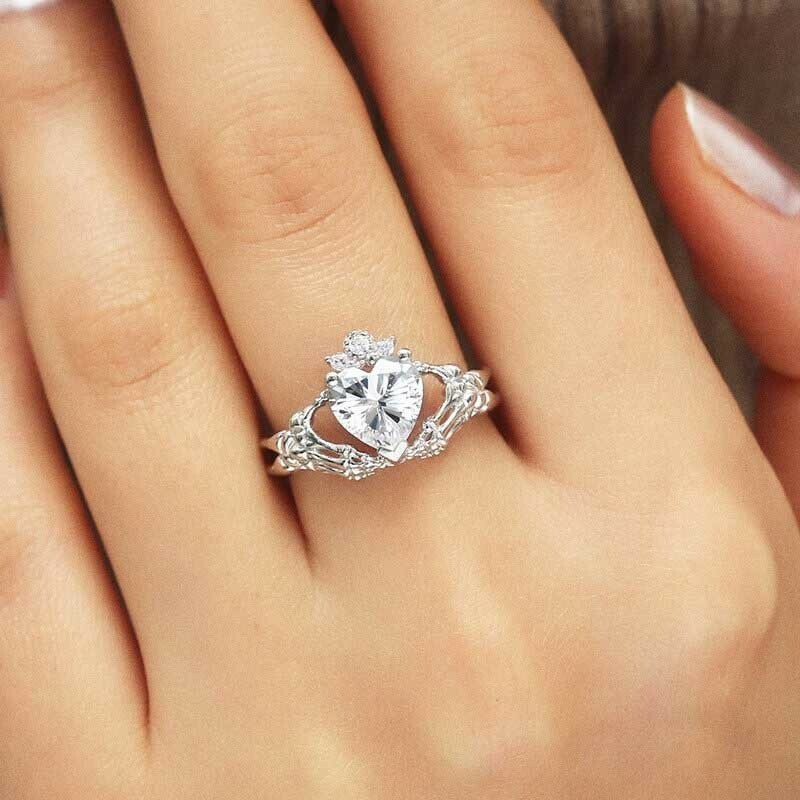 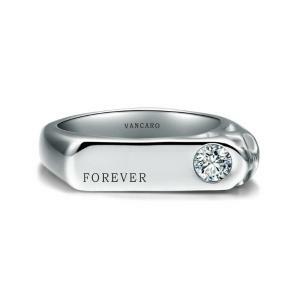 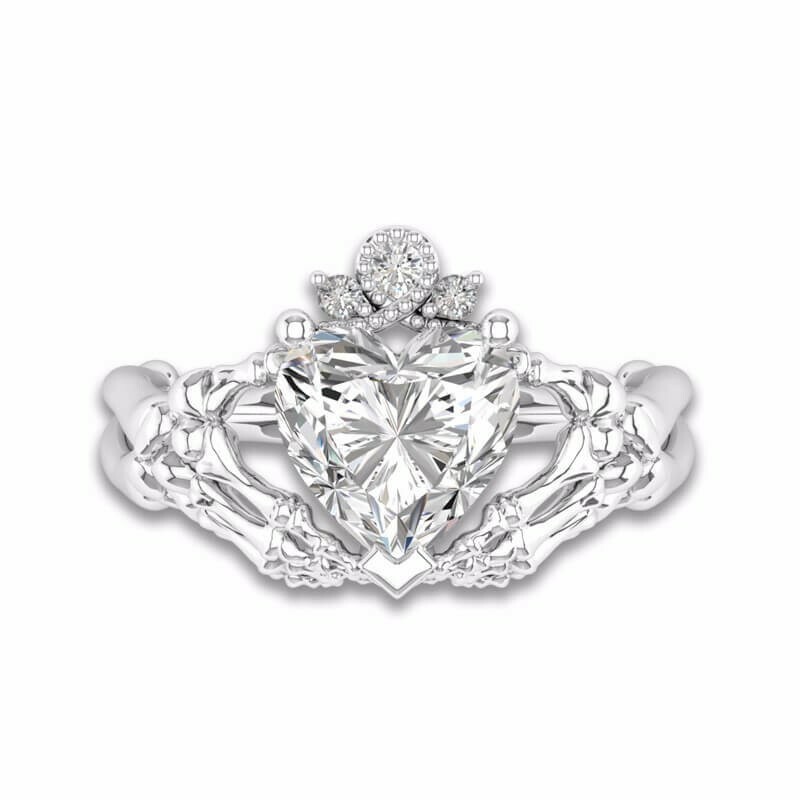 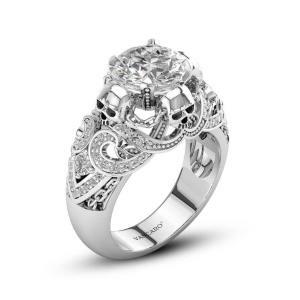 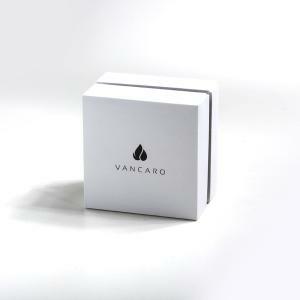 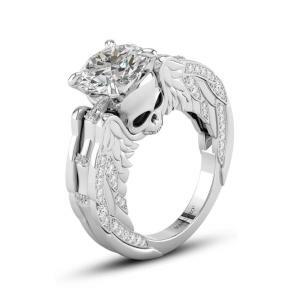 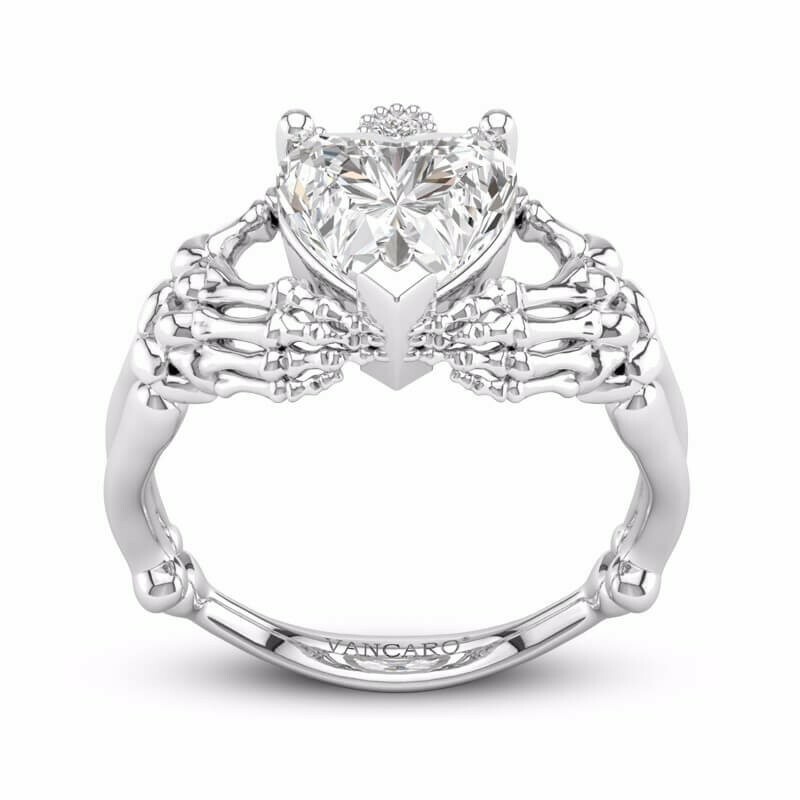 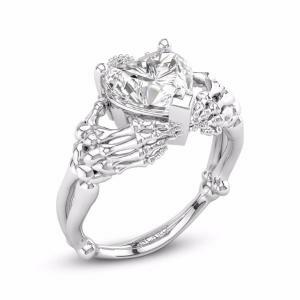 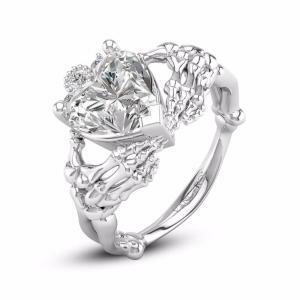 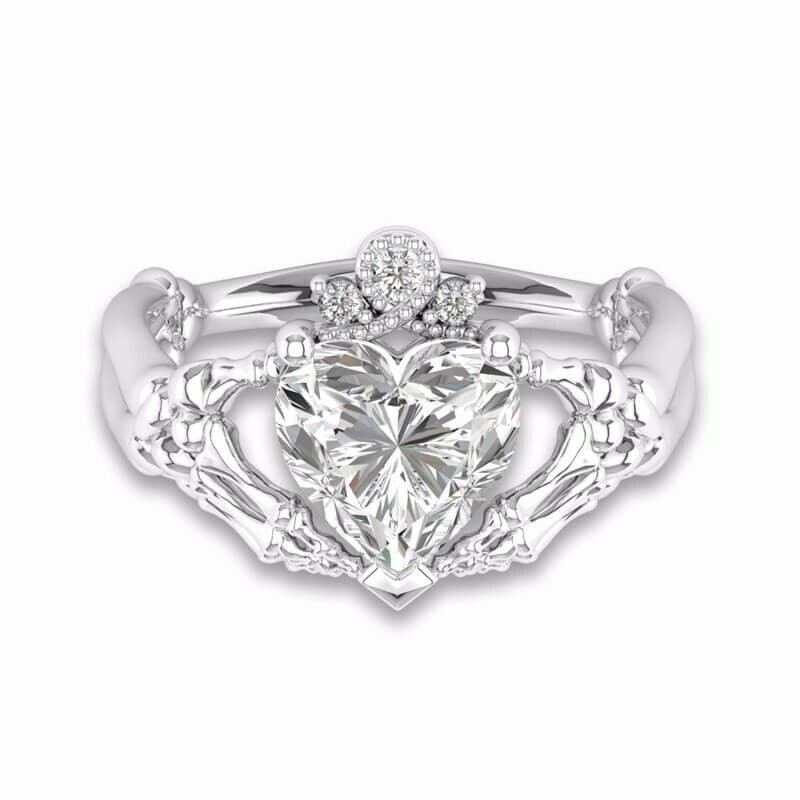 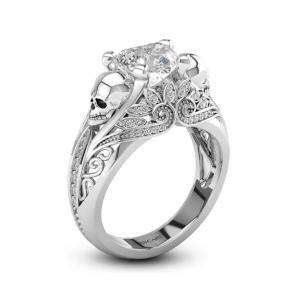 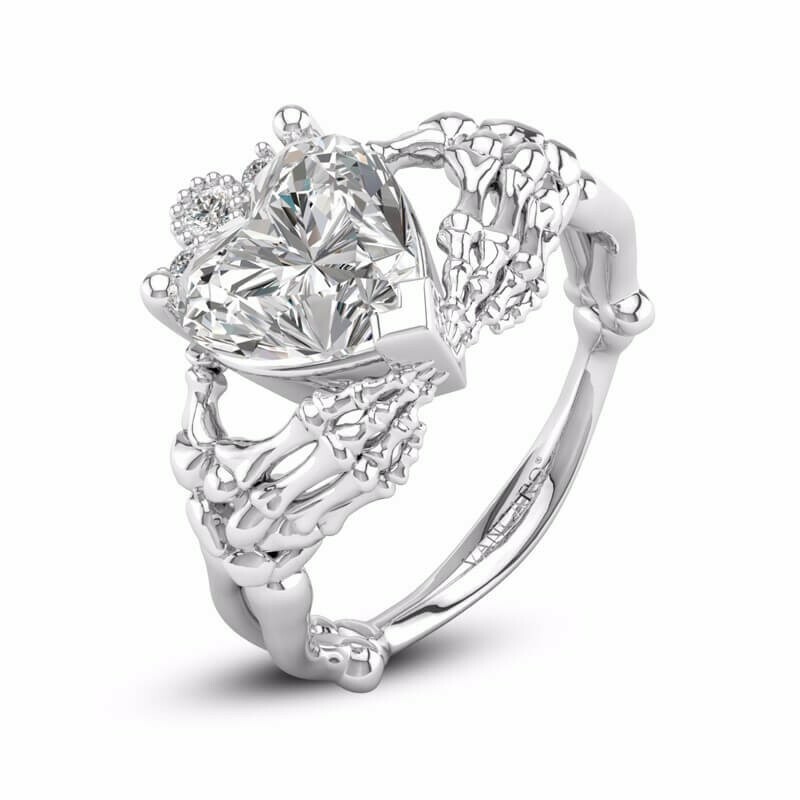 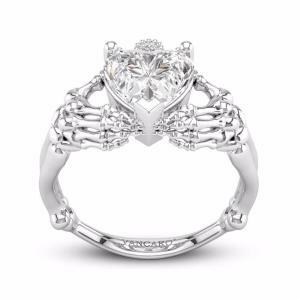 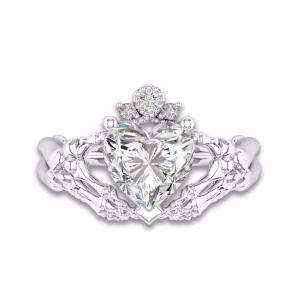 Adorned with white heart cut cubic zirconia, this solitaire skeleton Claddagh ring is VANCARO’s original design. I've seen the beautiful custom pieces you guys have done, and I wasn’t expecting such great customer service for my humble little ring. I can tell you all are proud of your work, and it makes me all the more proud to wear my promise ring.